Jonathan Wilson is a Professor of Theatre and Drama in Loyola University’s Department of Fine and Performing Arts where he teaches courses in Acting and Play Direction. During his tenure at the University, he has directed over 45 productions for the Theatre Department. Among his recent productions are: VIOLET (2018), DOUBT (2017) GETTING OUT (2016), LEND ME A TENOR (2015), PROOF (2014), FROM THE MISSISSIPPI DELTA (2013), TARTUFFE (2012), and A STREETCAR NAMED DESIRE. In 2008, Professor Wilson was named Loyola’s Faculty Member of the Year. He has also been actively involved as a stage director in the professional theatre in Chicago and around the country. Chicago credits include: AMONG ALL THIS YOU STAND LIKE A FINE BROWNSTONE, SAVIOR, and LIBERTY CITY (ETA Theatre); MASTER HAROLD AND THE BOYS (Timeline Theater, Jeff Award nomination); JITNEY (Jeff Award nomination), TWO TRAINS RUNNING (Jeff Award: Best Director); and FRATERNITY (Jeff Award: Best Director, Pegasus Theatre); PANTOMIME and THE LION AND THE JEWEL (Court Theatre); and DESIRE UNDER THE ELMS and LONG DAY’S JOURNEY INTO NIGHT (Jeff Award nomination, Touchstone Theatre). 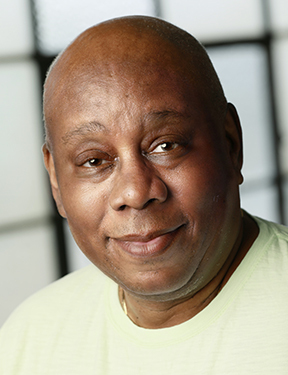 Regional credits include: MA RAINEY’S BLACK BOTTOM and SEVEN GUITARS (Seattle Repertory Theatre); FENCES (touring at Hartford Stage, Dallas Theatre Center, and Portland Center Stage); ELECTRA, OEDIPUS THE KIND, and DUTCHMAN (Hartford Stage). Jonathan’s 1990 production of Dr. Endesha Holland’s FROM THE MISSISSIPPI DELTA opened at the Northlight Theatre in 1990, won the Jeff Award for Best Ensemble, and enjoyed subsequent productions at Chicago’s Goodman Theatre, the Arena Stage in Washington, D.C. (where it received the Helen Hayes Award for Best Out of Town Production) and Hartford Stage (where it received the Connecticut’s Critics’ Circle Awards for Best Director, and Best Ensemble). In the fall of 1991, the production was moved off-Broadway for a nine-month run, where it received outstanding reviews and was voted by Time Magazine as one of its top-ten productions of the ‘91-’92 theatrical season. Professor Wilson holds degrees in Theatre and Play Direction from Daeman College in Buffalo, New York, the University of Cincinnati and Northwestern University. He is also a member of the Society of Stage Directors and Choreographers.